Samosa is an Indian style dumpling that’s traditionally deep-fried, however these are baked the healthy take of the classic snack. Once you know how to make the dough and shape the dumpling, possibilities for its filling are endless. These are stuffed with mashed potatoes and peas, and feel free to experiment with your favorite ingredients in the kitchen! To deep-fry, fill a small to medium pot with enough vegetable oil to cover 2-inches. Deep-fry until golden on all sides. Per Serving: 109 calories; 4g fat; 15.0g carbohydrates; 2g protein; 0mg cholesterol; 112mg sodium. These Indian dumplings are so good! I love the mashed potato pea combo. Next time I'll try something new, maybe carrots or greens. 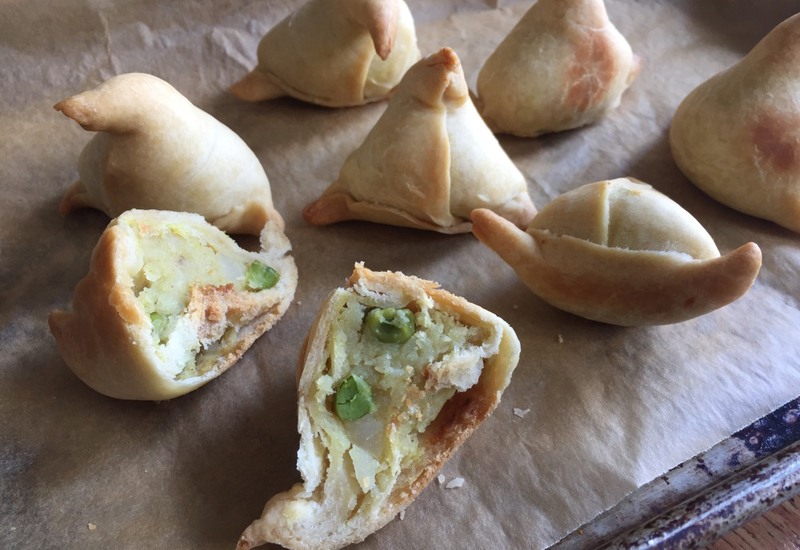 These samosas are a family favorite. The kids, who are especially picky, love eating these. They crunchy on the outside, and soft on the inside. It's definitely a favorite.